A native of Bagdad, Florida, Andrea Hatcher received a B.A. and M.A. in political science from the University of West Florida. 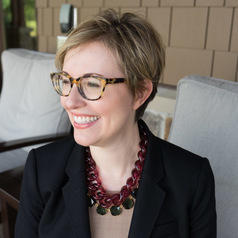 She began teaching at Sewanee as she was completing a Ph.D. at Vanderbilt University. Her research and teaching interests focus on American political institutions. As well as survey courses in American government and politics, she offers courses on the Presidency, Legislative Process, Constitutional Law, Religion and American Politics.